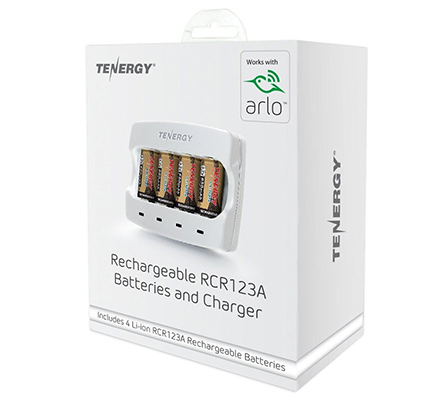 Tenergy rechargeable CR123 batteries and charger designed for Arlo cameras (VMC3030). 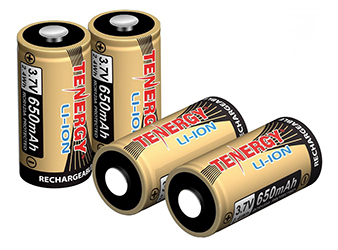 3.7V 650mAh RCR123A Li-ion battery can be recharged up to 500 times, offering significant savings over using disposable CR123 batteries. 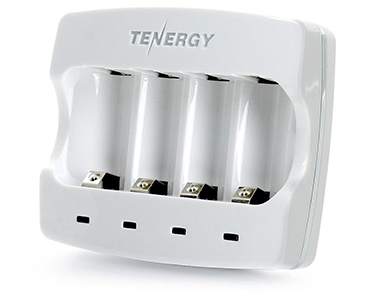 Each battery charging port comes with an independent charging status indicator. 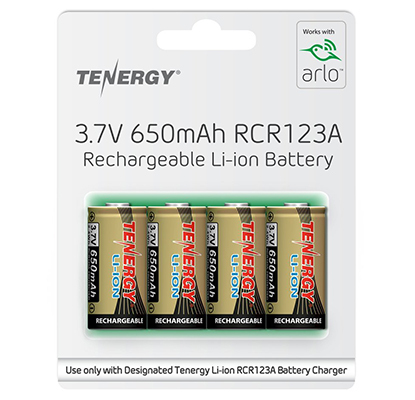 Tenergy rechargeable CR123 batteries designed for Arlo camera (VMC3030). 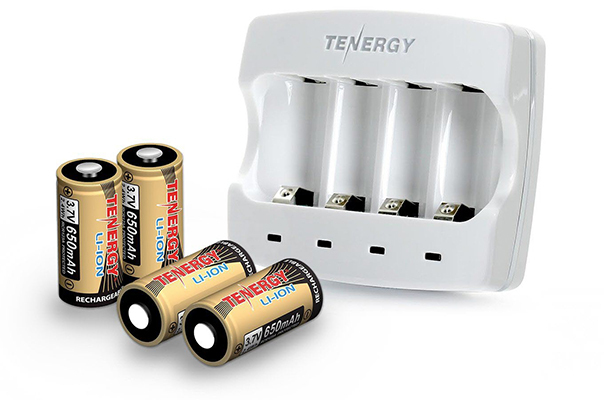 The Tenergy 3.7V 650mAh RCR123A Li-ion rechargeable battery can be recharged up to 500 times, offering significant savings over using disposable CR123 batteries. 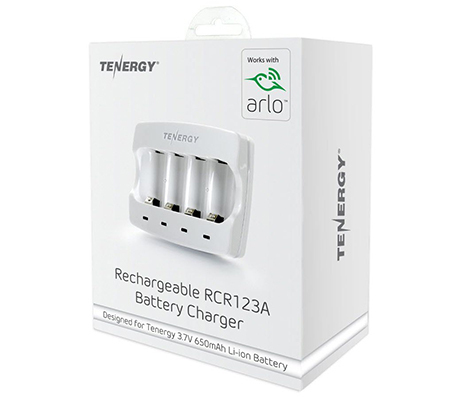 Compatible with Tenergy 3.7V 650mAh RCR123A Li-ion battery charger. 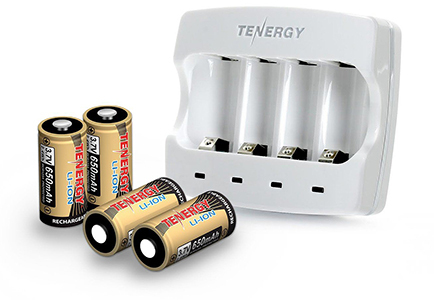 Works with Tenergy 3.7V 650mAh RCR123A Li-ion rechargeable batteries. 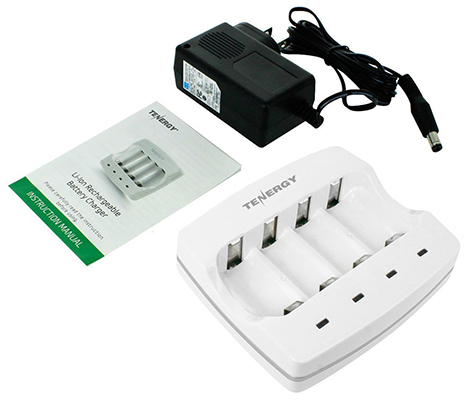 This Tenergy charger can charge up to 4 rechargeable batteries independently. Each battery charging port comes with an independent charging status indicator.